It starting to get really cold outside and summer is far behind us right now so it's about time to pamper your skin to the fullest! Mostly the body get very dry but you can noticed it on your lips and hands also. I have some recommendations for you! A few new launches and the rest some favorites. 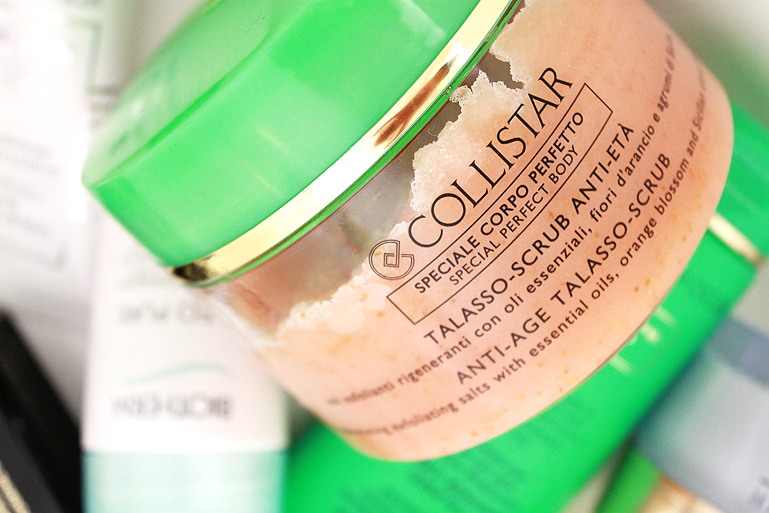 Let's start with my favorite body scrub ever: Collistar Talasso. This edition (Anti-age) was new to me but because my skin needs to recover from pregnancy this looked like a good idea to me. I must say I miss the traditional scent of the original one but this does the job so well! For in the shower you can use the showercream. Dermalogica is specialized in the skin so when you have sensitive skin you can go for products from their Body Therapy range. 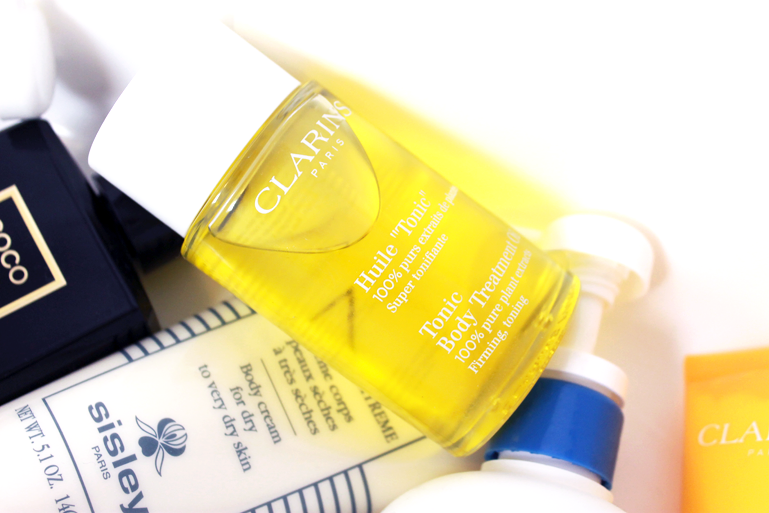 Clarins is one of my all-time favorite brands when it comes to skincare but how about products for the body? The"huile Tonic" is also available in a version for the face so I knew that I would like the product! The Baume Hydratant is nice but when you have very very dry skin I would not prefer this. Chanel can not be forgotten! This warm scent on this 'Coco Noir' showergel makes you forget using real parfume. Chanel also launched this new product: N05 body oil spray. When you like to keep it in the "feeling spendy" range you will like the Sisley Confort Extreme body cream. 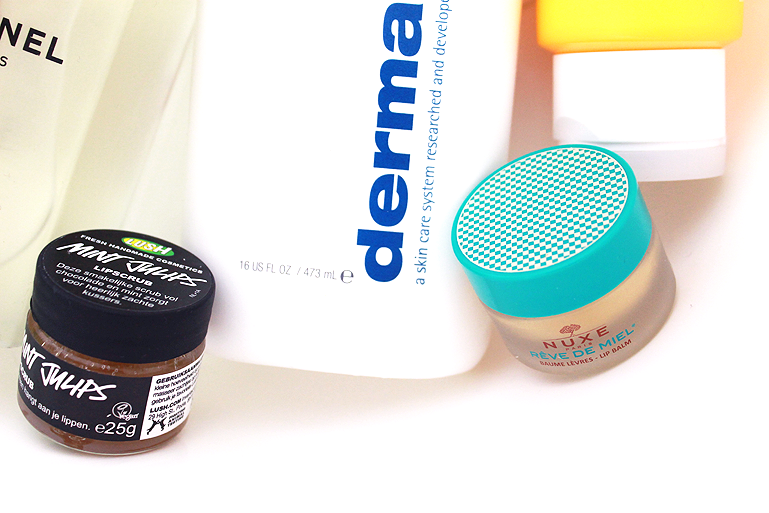 Perfect for the very dry skin! I like to use it after taking a bath. 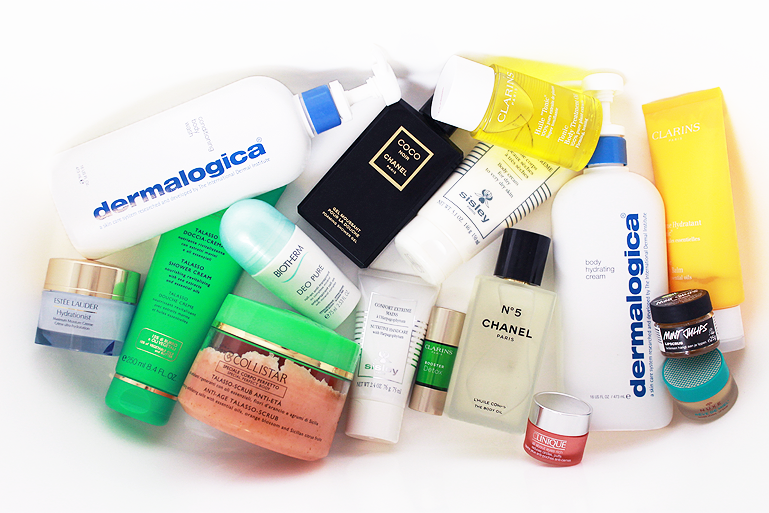 For the dry hands (guilty!) I like to use the Sisley Confort Extreme. I am totally obsessed with this deodorant from Biotherm btw. Estee Lauder's Hydrationist is my favorite at the moment. My skin needs some extra care these days. In combination with the new Clarins Booster Detox. Just a few drops and thats enough. For the eyes I always use my no1 favorite. All about eyes from Clinique. These are my ultimate all-time favorites! First I like to scrub my lips with the mint Julips from Lush and after that I use the Nuxe Réve de miel as a balm. Lovely!